Christmas is for the outsider. We don’t know much about them. We don’t know if there were three. We don’t know if they were kings. We don’t know whether they were right to be studying the stars – usually that’s a dodgy thing to do. We don’t know whether they really understood what was going on. But we do know that they were from the East. They were not Jews. They were Gentiles, pagans, foreigners, outsiders. They had no access to the Temple, no place in God’s people, without hope, without God in the world. But these outsiders are the first people in Matthew’s gospel to worship Jesus. The gospel ends with the disciples worshipping the risen Jesus but it starts with Gentiles worshipping the toddler Jesus. While all the religious people are sitting around in Jerusalem, the Father draws outsiders from a thousand miles away to his Son. I think probably all of us here this morning are outsiders like those wise men because we are all Gentiles. It is an amazing thing that we can come and worship the Jewish Messiah this morning. It is an incredible thing that we can fall before the feet of God in the flesh. But we easily get used to that privilege and we create new insider / outsider divisions. 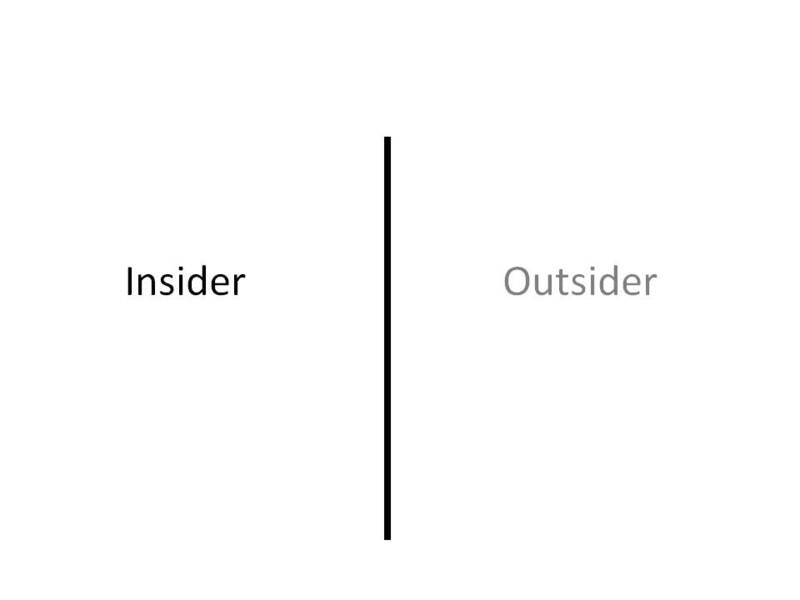 It becomes – everyone from my community is an insider / you and your community are outsiders. Or all of us here at church are the born again righteous squad / outside are the sinners. Or everyone who is married is an insider (if you’ve got children too you’re doubly an insider) / if you’ve not married you’re an outsider (we’ll pray for you to get married but till then you’re an outsider). We’ve all felt like outsiders sometimes. “I don’t really fit here.” Or “If people really knew who I am or what I’ve done they wouldn’t sit next to me.” And so we either stay away or we try to pretend we’re like everyone else. Christmas is for outsiders. Christmas is for people who we would never imagine could become Christians – drunkards and drug addicts and murderers and prostitutes. Jesus has come for successful professionals and small children, for Hindus, Muslims, white Kenyans, hardened atheists. God will do anything to get outsiders to Jesus. With these wise men he moved a star to do it. Do you know how big a star is? He moved a star to get them to Bethlehem. If you’re an outsider – God will do anything to draw you to Jesus. To see the God child – the toddler who is God – the weak, fragile, humble God who has entered into our mess – fully entered into our humanity to save us. Maybe you’re being drawn to this Jesus right now. He is the great treasure; he is the pearl of great price. Have him. He’s all yours. If you’re weeping and broken like Rachel (v18) – have him. If you don’t want him – have him. If you’re an outsider – have him. Come to him all you who are weak and heavy laden, come just as you are, with all your tears, with all your unbelief and have him. Have him as your treasure, your joy, your sacrifice, your high priest, your righteousness, your rest, your life, for ever.